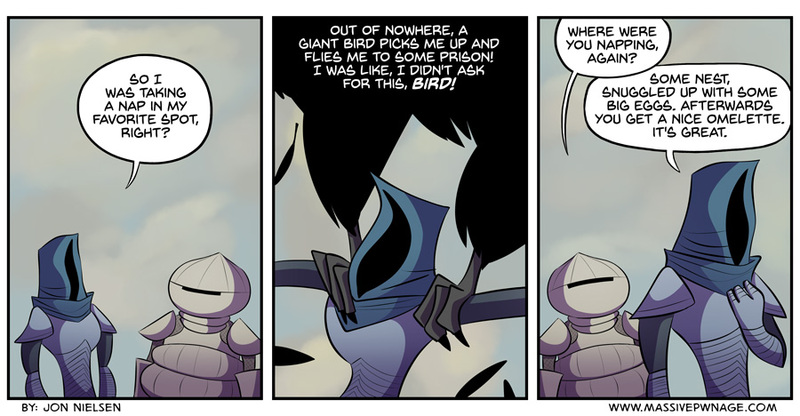 Anyway, here’s another Dark Souls comic we did. Check it out! This entry was posted on Monday, June 1st, 2015 at 12:00 am and is filed under Comics. You can follow any responses to this entry through the RSS 2.0 feed. Both comments and pings are currently closed. Then you get to the expansion and everything just goes to hell and takes it to 11. The rest just like playing around in the lava until you drain it. Maybe that’s why they attack you when you get near them? You ruined their infinite play time in the lava, so they all hate you.